December's Newsletter is available to view online, it focusses on the Pyrenees and has some details of changes to our guided holidays and news of a new competition. Brochures for 2017 have now been sent out. If you have not received one, and would like a copy please let us know. The 2017 Brochure is work in progress and we hope to send them out to regular and recent customers sometime in November. Unfortunately, we have had to make some changes to our Loyalty Reward scheme, in order to keep our holiday prices competitive. We are currently reviewing our pricing for 2017 and will need to make some changes to the way we operate our pricing policy in relation to the current volatility of the pound versus the Euro. You can read more here. If you have been affected by SPAM e-mails that appear to come from one of our e-mail addresses, please read our communication here. For those that are subscribed to the newsletter and enter our competitions, we have added some related FAQ (frequently asked questions) to our website. 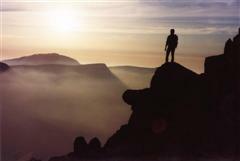 May's Newsletter is available to view online and focusses on coastal walking. 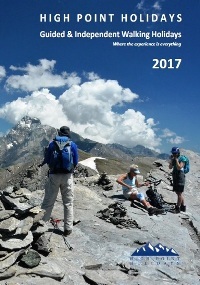 Congratulations to A. Rodwell, London, R. Owen, Bedfordshire and A. Gould, Hampshire on winning copies of the Cicerone guidebook Trekking the GR5 Trail. Our Spring Newsletter is available to view online. 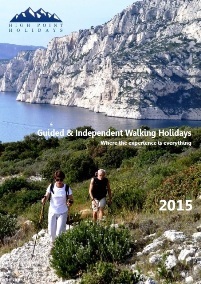 It features our walking holidays in the Jura and our Wine Trails. Congratulations to our winner of a year's subscription to French Entree magazine - S. Hammond, Dorset. We have a new competition courtesy of Cicerone. We have 3 copies of Walking the South West Coast Path up for grabs. This is a new publication written by Paddy Dillon. February's Newsletter focusses on walking in the French Alps and can be viewed online or you can subscribe to receive future newsletters here. 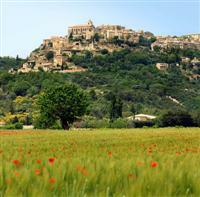 There's a new blog Wild France on the website, looking at where you can walk in the wilderness areas of France. Our new competition this month comes courtesy of Cicerone. One of their recently published guidebooks is Paddy Dillons's Trekking the GR5 Trail, one of the world's most spectacular long distance trails. We have 3 copies to give away. We have a new competition to win a year's subscription to French Entree Magazine. Congratulations to M. Bull, London on winning a copy of Britain's Highest Mountain Walks by Jeremy Ashcroft, which features all the England and Wales peaks over 3000ft and those in Scotland over 4000ft. Our Guided Walking Holiday in the Auvergne in August is now confirmed to go ahead with places still available. Our dates for new guided walks for 2016 are now on the website. 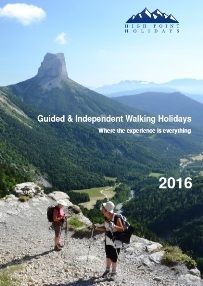 If you would like a hard copy of our 2016 High Point Holidays Walking Holiday Brochure, please go to the Contact us page and fill in your details, selecting "order a brochure" in the drop-down menu, and we will send you a copy by post.